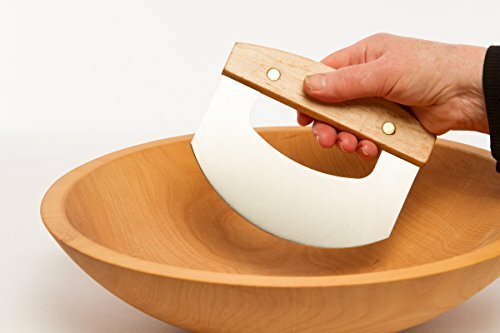 Best, most popular size for a chopped salad wood bowl. Big enough for chopping, easy to hold. New lower price. Handmade in the USA by skilled bowl makers from premium North American hardwood. No filler, dyes, stains or glue.